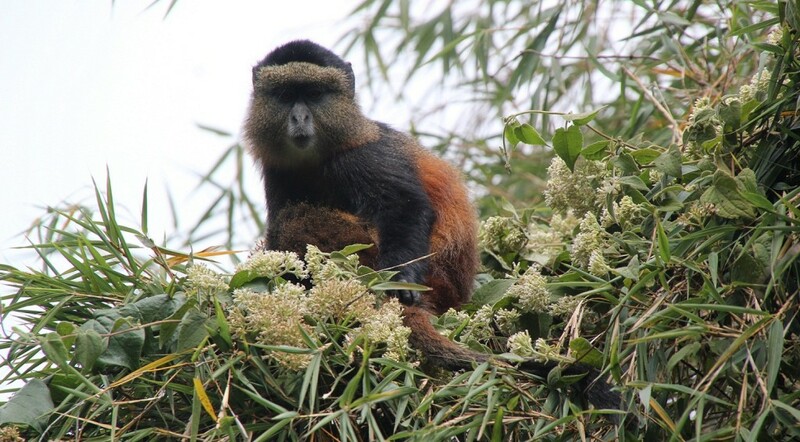 On this ten days trip, you will visit Mgahinga volcanoes and Rwenzori mountains ending the trip with a visit to the chimp and primates in Kibale national park. It is an extraordinary trip that takes you to witness the wonderful landscape, wildlife and meeting the people of the albertine rift valley. the most naturally gifted part of uganda that touches with Congo. You will be Climbing the famous volcanoes of Mgahinga gorilla national park including Sabinyo (3669m), Gahinga (3474) and Muhavura (4127m). These are part of a chain of virunga volcanoes that extend form Uganda Rwanda and Congo. As you trek, learn from the local guide, why these volcanoes are treasured by the Bafumbira people and are not just mountains but important traditional land marks. Meet the people, explore unique mountains wildlife and witness a unique way of life that rotates around the three volcanoes. At Rwenzori, the local community guides will take you to explore the foothills In the local forest outside the park, as you look for the small animals that are unique to this area, like reptiles, the elusive three horned chameleon, insects and birds. You may be chanced to find primates crossing from the park. If you take the hill trek, you will grab a chance to view margarita peak (5019m) while taking the scenery of the rift valley plains leading to queen Elizabeth national park. Celebrate nature with the Chimps in their natural habitat, in a forest with the biggest numbers of chimps In East Africa. you will spend up to one hour with a family of chimps as you learn their behavior being interpreted to you by the experienced guide. You also have an option of visiting the Magombe swamp, that is home to over 200 bird species, primates, mammals, batter flies and a multitude of plant life.